← Godzilla is back with a bang! An elderly man wakes up early morning, draws out his desk and begins writing a letter to his son residing in the United States. The mail isn’t a fancy exercise in eloquence but its simplicity conveys a father’s love, concern and commitment towards his only child until he’s stirred up by a crushing realisation – his young son is dead, he’s been dead for three months following a mugging incident on the streets of New York. He may be no more but those he’s left behind aren’t exactly alive either. They merely exist mindlessly, meaninglessly in denial and disbelief. Grief is a complex emotion, every person reacts differently to it but those afflicted share one difficulty in common – of letting go and moving on. Because the truth is, there is no real closure; it can only be suppressed through a preoccupation with purpose. 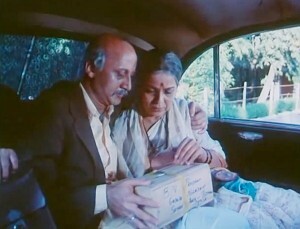 And that’s the nature of Mahesh Bhatt’s exploration in the heart-breaking Saaransh, which is about a bereaved 60-something couple and a young girl they volunteer to protect from a politician’s misplaced ire. 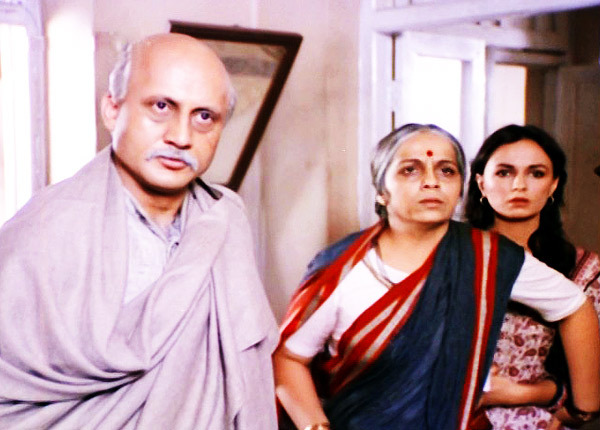 Bhatt’s finest film, which celebrates its 30th anniversary on May 25, isn’t comfort cinema. Devoid of cheer and falsehoods, Saaransh is armed with a leading man like Anupam Kher who single-handedly enriches its story into an experience so personal, poignant and profound, only the callous can stay unmoved. Loss of a child is a horror no parent should suffer. But for the retired headmaster B V Pradhan (Kher) and his schoolteacher wife, Parvati (Rohini Hattangadi) residing in a middle-class locality of Mumbai’s Shivaji Park (Bhatt grew up in the area and pays loving tribute to its daily sights), the enormity of this tragedy seems even greater. To possess the gift of life fully knowing it wasn’t their son’s time to go is an imposition they could do without. To compete for job positions against his son’s peers is a probability Pradhan didn’t prepare for. Or to endure the humiliation at the customs office when an official dismisses his urgency to retrieve his son’s ashes as an attempt to reclaim a television set. “TV lene nahi aaya hoon. Main apne marey hue bete ki asthiyan lene aaya hoon. Ek baap ka apne bete ki raakh par koi adhikaar hai ke nahi? Ya uske liye bhi mujhe neeche rishvat deni padegi?” he cries, exposing his broken heart and the sad state of Indian bureaucracy at once. Shameful, isn’t it? Even after three decades of Saaransh, corruption proudly occupies centre stage everywhere. If Parvati resigns herself to religion and a monk’s soothsaying – her son will soon appear in a reincarnated avatar; Pradhan’s atheistic ideals leave him with no scope for that comfort either. Bitter, frightened, gloomy, he seeks the easy escape – suicide. What follows is a fascinating scene wherein Parvati resolves to join Pradhan in his suicidal pursuits. He plays her, she indulges him, it’s a dangerous game but they have nothing to lose. Except they are interrupted by a presence that will change the course of their life and offer them a motive, a “mission” to go on living — for the time being, at least. Financial crunch forces them to rent out their deceased son, Ajay’s room to an aspiring actress Sujata (Soni Razdan, her first film under future husband, Mahesh Bhatt). 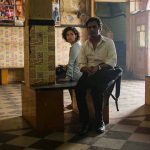 Bhatt slyly remarks on how tough it is for artists to obtain rental accommodation in Mumbai given Bollywood’s ill reputation even in the 1980s through Sujata’s niggling doubt and hasty admission about her profession to her potential landlord. Her affair with Vilas (Madan Jain), son of an influential politician Gajanan Chitre, (Nilu Phule) results in pregnancy, a development that doesn’t go down well with her spineless beau and his tyrant daddy. When efforts to abort the baby go in vain, Chitre begins to intimidate Sujata and her protectors — Pradhan and Parvati. What’s masterful is how Bhatt plays out the ensuing menace by building on nerves and tension in place of physical violence. There’s a scene I really liked, where the troika along with their family friend, Vishwanath (a pitch perfect Suhas Bhalekar) are about to get into a taxi to the hospital when one (Salim Ghouse) of the four anti-social elements constantly hovering in their neighbourhood, slowly, sinisterly kicks a can towards Pradhan. The cautioning tone impressed in the sound of a rolling can and Ghouse’s glowering eyes convey more aggression than if he would grab Pradhan’s collar and mouth a few threats. Tautly edited by David Dhawan (yes, the *same* one), Saaransh scores repeatedly for underlining significant aspects of society’s shortcomings without deviating from its core sentiment. 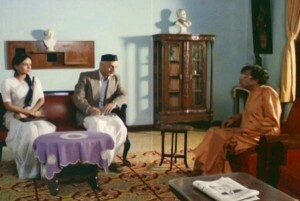 Bhatt points out at the pains of red-tapism, the stigma of being an unwed mother in a conservative society, the audacity of politically- backed bullies, the meekness of politically-controlled law/order officials and dismisses the theory of reincarnation to extract suitable drama, which adds texture and dimensions to his narrative preventing it from turning overemotional. 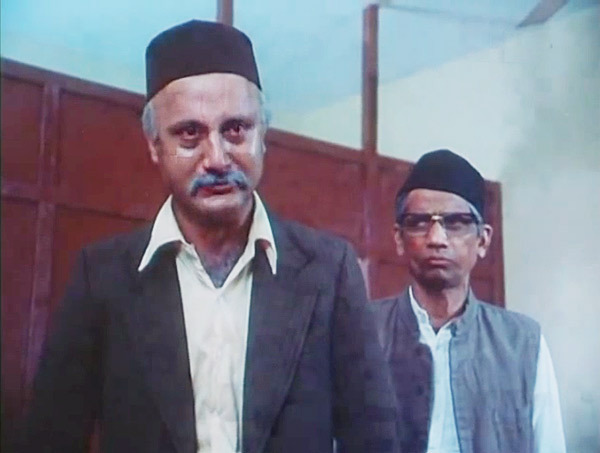 Even though striking on its own, Saaransh wouldn’t bear the same soul without Anupam Kher. It’s extraordinary how an actor can attain this degree of success in his acting debut. There’s a fascinating anecdote behind his casting, which I learned of while watching his famous play, Kuch Bhi Ho Sakta Hai many years ago. Sanjeev Kumar was slated to work on this Rajshri production. When Bhatt short-changed Kher to accommodate the saleable star, the young aspirant from Shimla protested furiously calling the director a ‘fraud’ among many other things. As he started to walk out in a huff, Bhatt stopped him and decided to drop the Sholay actor in favour of a rank newcomer. Interestingly, Sanjeev Kumar was extremely moved by Kher’s work in Saaransh and rated it among one of the best performances he’d ever seen. At 28, he plays a father who’s lost a son perhaps his own age with the gravitas and grace of a senior citizen. Would he be able to better the same performance today? I don’t know. Honestly, I don’t want to. What we see of him on screen, its pure, almost spiritual, a performance for the ages — free from the baggage of image or expectation, it’s not merely Kher’s depiction of old age but a wisdom to penetrate into Pradhan’s consciousness that distinguishes it. That year he beat the likes of Naseeruddin Shah in Sparsh and Dilip Kumar in Mashaal to nab the Best Actor trophy at Filmfare awards. 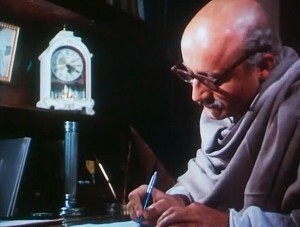 Bhatt walked with Best Story while Madhukar S Shinde, a regular with the filmmaker through his fecund phase from Arth to Dil Hai Ki Manta Nahi won for Best Art Direction. At the box office, however, Saaransh failed to take off. Playing the equally noteworthy character of Kher’s better half, a 30-something Rohini Hattangadi infuses the part-repressed, part-hysterical temperament of her Parvati with maturity far beyond her years. It’s hard to describe the sadness enveloping the scene where she finally wakes up to the rotten reality of her circumstances. “Tum rakshas ho,” she accuses her husband for shattering her belief that Sujata’s unborn baby is her reincarnated Ajay. Soni Razdan is somewhat overshadowed by the dramatic prowess of her co-stars but her underplaying wronged women always stands her in good stead. Through the course of these bittersweet developments, the essence of Saaransh is fruitfully realised when the previously suicidal Pradhan accepts it’s not taking one’s life but living it on one’s terms that requires courage. 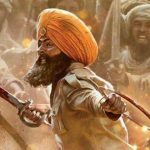 “Parvati, tumhare chehre ki jhuriyon mein mere jeevan ka saaransh hai,” he concludes. Loss is irreplaceable but life still goes on. The flowers blooming out of their son’s ashes reiterate this. This entry was posted in Classics, Columns & Reviews and tagged 30th anniversary, anupam kher, cinema, death, hindi films, life, loss, mahesh bhatt, nilu phule, old age, rohini hattangadi, saaransh, soni razdan. Bookmark the permalink.